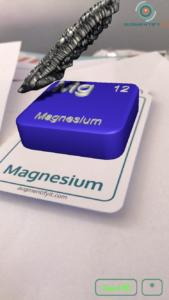 Welcome to AugmentifyIt®, the FREE Augmented Reality (AR) app designed to bring Science, Technology, Engineering, Arts and Maths (STEAM) learning to life! 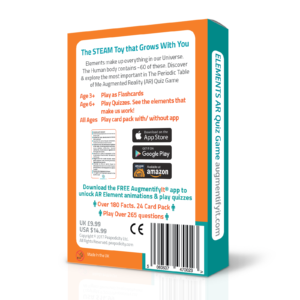 Our Play to Learn approach is designed to empower and engage young learners with 21st Century skills of critical thinking, reasoning and understanding. 2 SCAN OUR LOGO above! What have you learnt Today?! 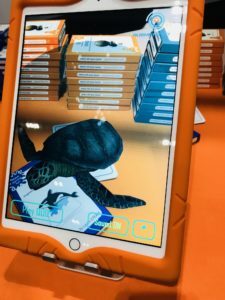 Check out our latest collaboration with GUINNESS WORLD RECORDS on their latest book WILD THINGS, launched October 2018. We bring you “Bugs To Life”! 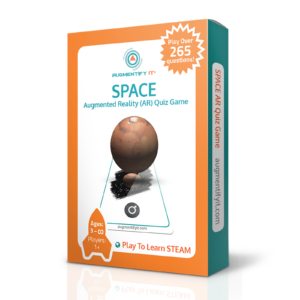 EXPLORE & DISCOVER STEAM with our exciting New range of Augmentified products. Our debut product is a MULTI-AWARD-WINNER! 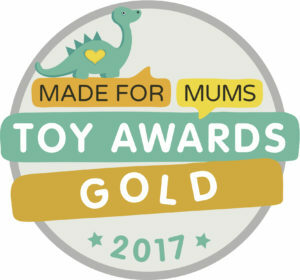 AugmentifyIt® SPACE cards Won the GOLD AWARD for BEST SCIENCE TOY 2017 in the prestigious MADEFORMUM TOY AWARDS; a LONDON TOY FAIR HERO 2018 and COMMENDED FOR EDUCATION in the Independent Toy Store Awards! 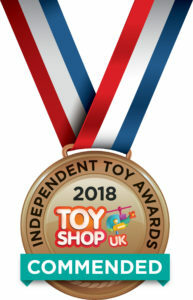 AugmentifyIt® products were Shortlisted for a Junior Design Award for Best Toy Design 2018. 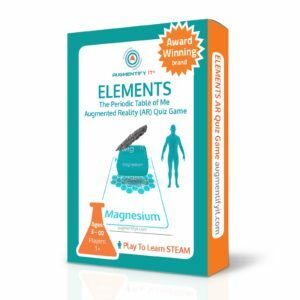 AugmentifyIt® ELEMENTS – The Periodic Table Of Me won the prestigious Made For Mums BRONZE Toy Award for Best Science Toy 2018. 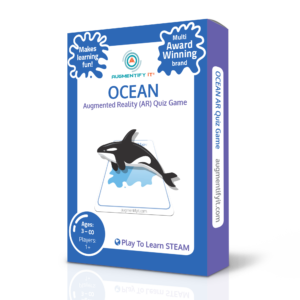 AugmentifyIt® OCEAN – NEW – Launched at New Scientist Live! 2018. An AMAZON’S CHOICE product. Five Star Reviews. Explore and dive deep into the world of the Ocean. 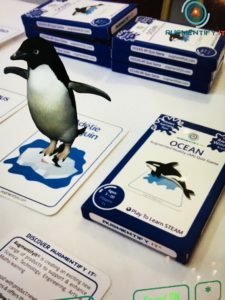 See Ocean animals come to life with AugmentifyIt® AR. Learn facts and play the quiz to test your knowledge. Whether its a sea turtle or octopus, or a walrus or a shark, there is something for everyone in this exciting new pack! 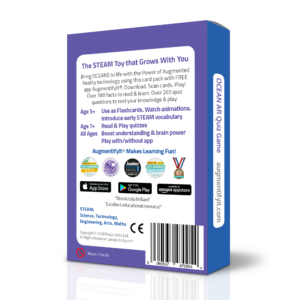 IMMERSE in the combined worlds of physical and digital play with our specially created, multi-award-winning Augmentified educational STEAM tech toy range. 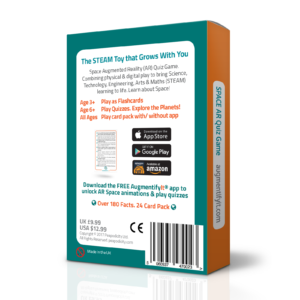 Download the Free app from the App Store, Google Play or Amazon App Store, and use with the Augmentified product range to unlock amazing fun, educational, digital content experiences! 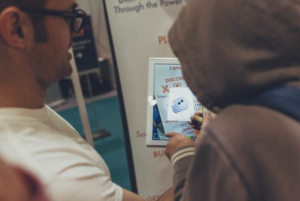 As Seen At NEW SCIENTIST LIVE! Thank you for joining our journey. 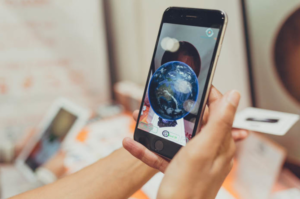 We look forward to Augmentifying with you!